Villa or Apartment rentals in Bermuda can be an ideal way to spend your vacation in the island if you are looking for a self catering type of unit where you get a homelike feeling and privacy. There are a range of vacation rentals, starting from budget ones ($) like a studio apartment to real luxurious villas or cottages ($$$$). When it comes to space & privacy, and eating your own food, the vacation rentals easily outweigh the hotels and resorts. Booking is typically required for a week or more. Sometimes the owner can agree to 3-4 nights reservation. In the apartment type, you can either have ones that are part of a formal and organized complex commercially run by a large group, or it may be an annex or an extension to a home where a Bermudian family lives and is more informal. If you are budget or health conscious, the grocery shopping can be fun and eating can be a lot cheaper. Just stock up the fridge, cook yourself and enjoy your own Barbecue as well. In the supermarkets, other than fresh vegetables, fruits & grocery, you will also get bakery, meat counters, deli food and alcohol. Well if you are not too keen to cook, you can still eat inexpensively in Bermuda. Update June 2018: Vacation Rental tax of 4.5% in Airbnb type holiday rental accommodations will be introduce soon in Bermuda. Below are a select list of vacation rentals in the island which have earned a good name for themselves. However there are many other rentals that may suit your requirements because location, price etc are also important considerations. Clairfont Apartments (Category: $$, Location: Warwick Parish) Easy walk to south shore beaches. Robin's Nest (Category: $, Location: Pembroke Parish) 25 minutes walk to Hamilton City, quiet locality. Rosemont Guest Apartments (Category: $$, Location: Pembroke Parish) Easy walk to Hamilton bus & ferry terminals. Sandpiper Guest Apartments (Category: $$, Location: Warwick Parish) Close to south shore beaches, bus stop nearby. Dawkins Manor (Category: $, Location: Paget Parish) 10 minutes walk to Elbow beach. Mazarine by the Sea (Category: $, Location: Pembroke Parish) Great north shore views. 15 minutes walk to Hamilton. Greenbank Cottages (Category: $, Location: Paget Parish) Quiet place. Ferry dock is at walking distance. Granaway (Category: $$, Location: Warwick Parish) Quiet, lovely waterview of harbor and Great Sound. Paraquet Apartments (Category: $, Location: Paget) Family managed, quiet & clean. Located within walking distance to Elbow beach. Clear View Suites & Villas (Category: $$, Location: Hamilton Parish) Quiet and exclusive waterside property. Fourways Inn Cottage Colony (Category: $$, Paget) Lovey garden setting. Centuries old colonial house refurbished. Grape Bay Cottages (Category: $$$, Location: Paget Parish) Two exclusive cottages overlooking a private beach. St George Club Cottages (Category: $$$, Location: St George Parish) Club property, great landscape views. Marley Beach Studios & Cottages (Category: $$, Location: Warwick) Lovely secluded beachfront cottages. 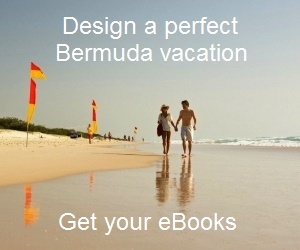 A vacation apartment in Bermuda typically comes with a kitchenette, one/two rooms and a private bath. Check out Great Apartment Rentals and scan through the apartments of various categories that are offered on short term rents. They can be extensions to private Bermudian homes or part of a larger apartment complex. Another option is to have an independent cottage or villa that would usually have its own pretty garden, a pool or water view. This is usually more expensive than a typical apartment. Check out Villa & Cottage Rentals to scan through some of the best villas/cottages offered on short term rent. There are number of private properties in the island like small cottages by the waterside, villas in plush gardens, apartments etc that are not available for direct booking. The owners instead prefer to deal through reputed vacation rental agencies. The agencies accept the bookings from the guests and take a commission or a listing fee from the owners. Such rentals usually require minimum number of night stays like 7 to 10 nights etc. They are usually standalone independent properties and are ideal for couples or families who like to get a home-like atmosphere, cook themselves and like to experience Bermudian way of living. You can get all kinds and categories of such properties (budget to luxury). If this is what you are looking for then go through Property Agencies where I have given details about the best agencies dealing with vacation rentals in Bermuda and how to find such properties. Although we consider ourselves as fairly savvy travelers , there have been few important lessons that we learned ourselves in Bermuda. I am sure you will not like to travel all the way to Bermuda to find out that you don’t have a reservation. Sounds scary? Here are our Lessons Learned from vacation rentals and some suggestions so that you don't end up damaging your vacation in any way. Well if you love Bermuda as much as we do and like to keep coming back to the island year after year, then probably Timeshares or Vacation Homes can be worth considering. You can become a shared owner of a lovely property and actually have a piece of this island to yourself, although on a fractional ownership basis. If this is what you would like to look into, check out Bermuda Timeshares to know about our favorite shared vacation residences in Bermuda. A good way to find and reserve a vacation rental is by using the Search Box below. Mention your dates and hit the search button. It will show you accommodations of various categories including rentals. You can sort the list by price, category etc and see the reviews, scores and amenities of the listed accommodations. You can then select one and book at an attractive low rate. This service is provided by world's no.1 online booking site. First of all - thank you so much for your website! It has been great! We would like to visit Bermuda (coming from So. California) in early June. We want to keep the price down & most of the hotels that you mention on your website will not accommodate 5 people. We mostly want to enjoy the nice beaches as far as the area we'd like to visit. I did find on the internet a new place called Reefsong Heron in Southhampton 28 Coral Acres Drive. for $1900 per week (sleeps 6) including all cleaning at end & taxes. Do you know anything about this place or the area where it is located? Or can you make any other suggestions of places for 5 to try with beach acces? I absolutely love your website! It is my number one source for Bermuda trips. I need your guidance on securing a cottage rental (I have read your website on this topic). For this trip my family is going to split the week between a hotel on the South shore and a cottage in St. George that must be within walking distance to Alexandra Battery beach. I found a house on VRBO.com but can't get a response on questions. Is it possible to contact a realtor who could help secure a rental in close proximity to Alexandra? Can you suggest anything else I could do? Thanks for your time and a fantastic website!